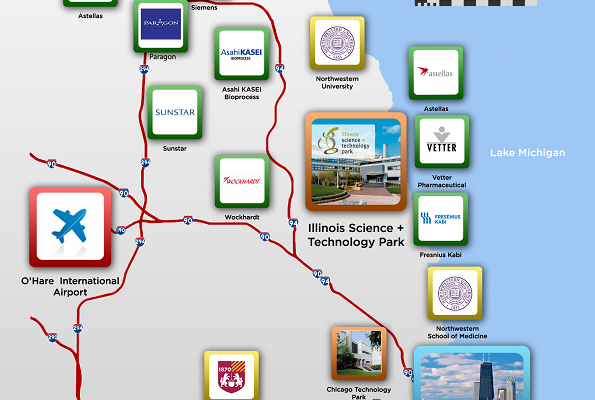 Long a hotbed of life sciences titans like Abbott Laboratories, Baxter International and Takeda Pharmaceuticals that have established the northern suburbs as a biotechnology hub, the Chicago area has recently seen a rush of startups as schools including Northwestern and U of C have pushed to commercialize faculty research in ways championed by universities like Stanford and MIT. The biomedical and biotech sectors accounted for 44 percent of the $877 million in funding raised by all 942 startups spun out from Illinois universities between 2013 and 2017, according to data from the Illinois Science & Technology Coalition, a nonprofit advocacy group. But the number of local facilities available for clinical tests and that also offer the equipment startups need hasn’t grown as quickly. One reason lab space isn’t pervasive is that it is expensive and risky to build. Structures like these need special ventilation, electrical and safety systems to accommodate chemical reactions, and extra security to protect highly valuable intellectual property. The Village of Skokie welcomes a variety of new mixed-use residential and commercial investments in Downtown Skokie and surrounding areas. The $65 million, 8000 North development, broke ground in May. 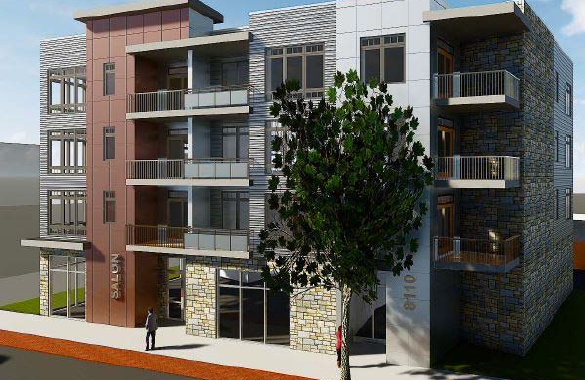 A mixed use development project by Neri and Nea Maya Developments at 8122 & 8110 Lincoln Ave has been approved. Varda & Company, LLC is investing over $4 million in 7 new townhomes at 8326 Elmwood Place. The Northfield Group, Ltd is constructing a $12 million mixed use project at 8017-8025 Skokie Blvd. For information on these developments and more, click here to access the Fall 2018 copy of SkokieBiz. The ‘Koosh ball’ that can cure. David Giljohann has developed a breakthrough that has the ability to infiltrate a sick cell to correct the genes inside and make it healthy—or kill it. DNA-altering drugs have been a fascination in medicine since the human genome was decoded, but until now these medications have been hitting an impenetrable wall. “The challenge was no one could figure out how to effectively deliver DNA into the cell,” explains David Giljohann. His company, Skokie-based Exicure, has over 150 patents on a technology that is solving the cellular-level delivery challenge. When his medicines start coming to market in the mid-2020s, Giljohann anticipates he’ll be pioneering treatments for illnesses that currently have none and introducing drugs that are more targeted, easier to administer, safer and less expensive. “From a business standpoint, that’s nirvana,” Mirkin says. Exicure has only 30 team members but operates at the pace of a company of 300. Thanks to the human genome codes, the team is able to digitally design, test and prototype a medicine before building it. Instead of making a thousand designs for testing, they make only one, shortening the development cycle and driving down costs.